2.) We won’t miss the nighttime spectaculars. Spending a whole day in the parks at Disney World is amazing. It can be the experience of a lifetime! And it can also make you tired. Sometimes Guests who get to the parks at opening time opt for going back to the resort hotel early in the evening—and that’s a great idea! But be sure you stay late at least a couple of times so that you don’t miss out on the fabulous nighttime shows that take place at the four theme parks. Enjoy Magic Kingdom’s Once Upon a Time and Happily Ever After shows, EPCOT’s Illuminations show, Hollywood Studios’ Fantasmic! 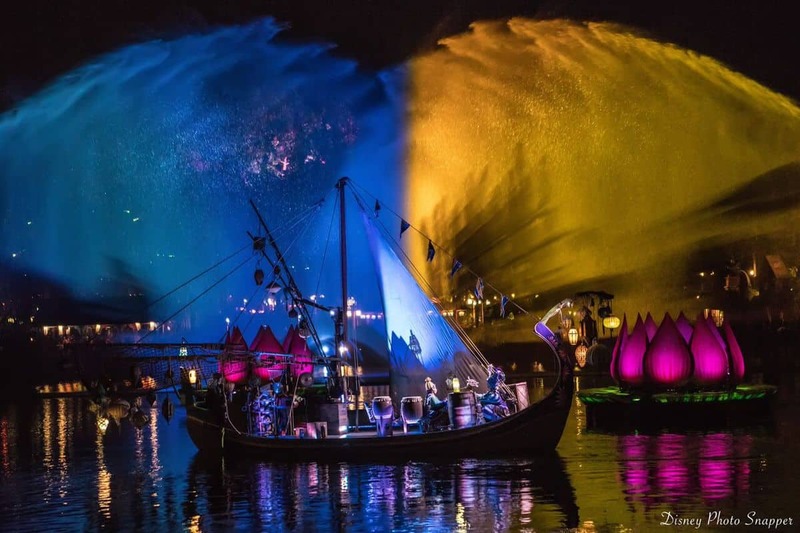 or Animal Kingdom’s Rivers of Light.